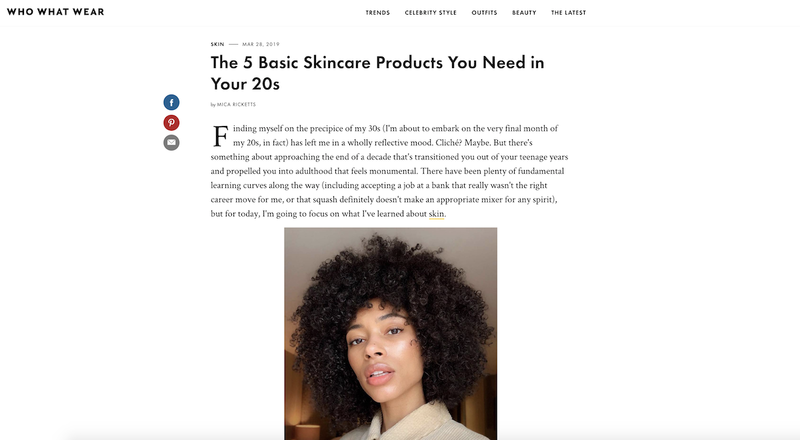 “For women in their 20s, a good cleanser is essential,” says Dr Tiina Meder, dermatologist and founder of Meder Beauty Science. In fact, she goes as far as to say that it’s the most important skincare product of this decade. So if you buy just one skincare product, make it a cleanser.